Parts of his life story and elements of his drawn landscapes were invented, but both were extraordinary nonetheless. 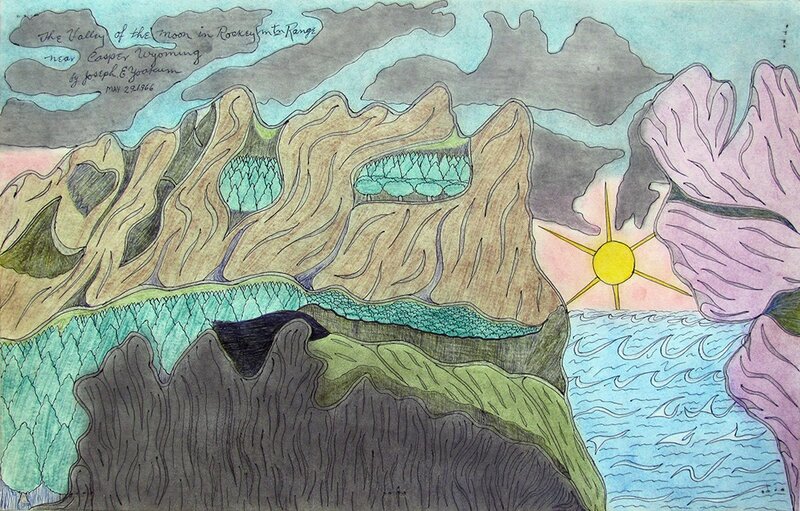 As a young man, Joseph Yoakum traveled the world - he claimed to have visited every continent except Antarctica - then recalled those memories to draw fantastic landscapes when he started to make art late in his life. The details of Yoakum's life are difficult to ascertain, as he was prone to exaggerating stories, but he was born in the late nineteenth century in Missouri to a mother who had been a slave and a Native American father. He joined the circus as a young boy, traveling around the country with both Buffalo Bill and the Ringling Brothers (he claimed to be the personal valet to John Ringling). He fought in World War I, then explored more of the world via ships and trains, possibly reaching as far as Australia and Asia before settling in Chicago in the late 1920s with his wife. He didn't begin making art - or at least showing it to people - until 1962, when he was in his 70s. He reportedly had a dream that he felt he had to draw once he awoke, an inspiration that he thought came from God. 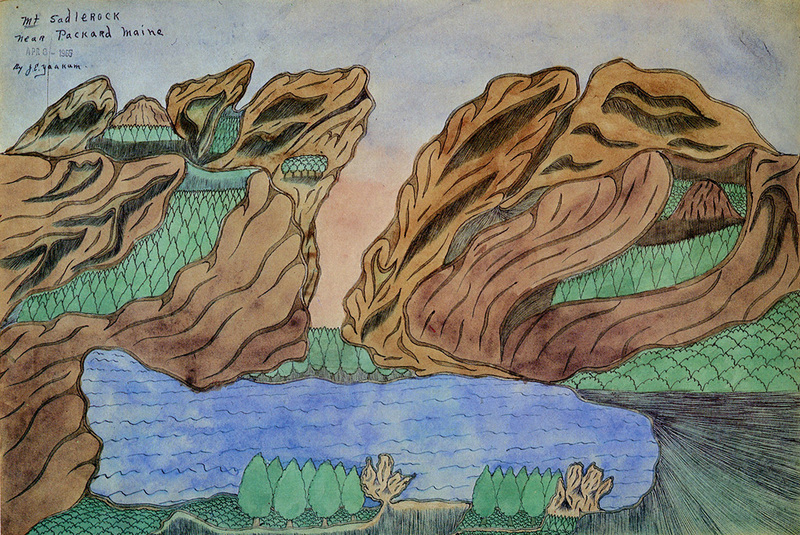 Yoakum was deeply religious, calling each of his drawings "a spiritual unfoldment." Most of his work depicted picture-book landscapes based on real places he had seen, and were given specific identifying titles. 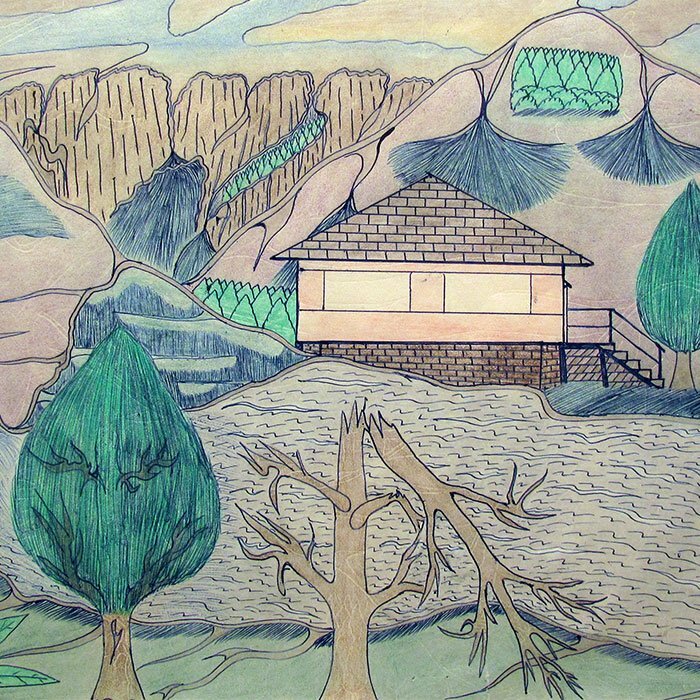 Yoakum typically worked with colored pencils and felt-tip or ballpoint pens, sometimes filling in the drawings with pastels and watercolors. He often blended his colors with scraps of toilet paper. Yoakum's Mt Sadlerock near Packard Maine. In 1966, he began trying to sell his works out of a storefront that had been a barbershop. The next year, he held his first exhibition in the basement of a coffee shop, and was picked up by a gallery in 1968. The curator Don Baum included Yoakum in his famous Museum of Contemporary Art show Don Baum Says, “Chicago Needs Famous Artists” in 1969, and the Chicago imagists who made up a large part of that show began to admire and take inspiration from the simplicity of Yoakum’s work. 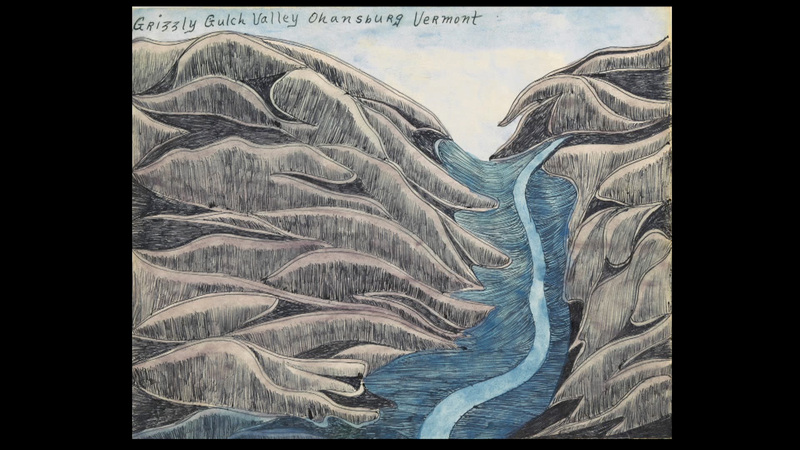 In the last years of his life, Yoakum was shown at the Museum of Modern Art in New York and even had a solo show at the Whitney Museum of American Art in 1972. He died on Christmas Day of that year.